Dava Newman has received Senate confirmation for the role of deputy administrator at NASA via a unanimous vote held more than six months after President Barack Obama submitted her nomination, Space News reported Monday. Jeff Foust writes the NASA deputy administrator post has been vacant since September 2013, when Lori Garver left the space agency. “The strong bipartisan support Dr. Newman received in the Senate is a reflection of her well-earned reputation and renown as a global leader in science and technology research and policy,” NASA Administrator Charles Bolden said in a statement. Newman is currently a professor of aeronautics and astronautics at the Massachusetts Institute of Technology and specializes in spaceflight research. 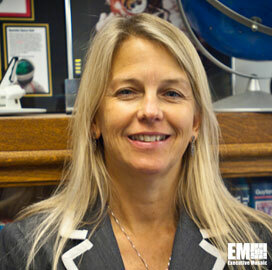 Bolden also noted her recent work in the development of a new lightweight spacesuit design.